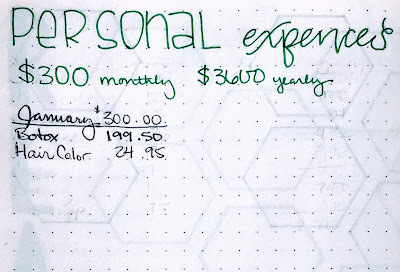 I spent 2018 trying to figure out what I actually spend on myself that is not medically related expenses. It was hard and I failed miserably. I just plain gave up in June. I was still spending way more than I should. Shopping is an addiction and it's one I've had for a long, long, time. I do want to say up front that I fully recognize that I am a child of privilege and I have distinct advantages that some readers do not have or have had or ever will have. Is a massage a selfish frivolous perk? Paying for a pedicure because scrunching up or bending over to do my toes with arachnoiditis is not pleasant, is that extra? Well, yes and no. I went almost a year without "getting my toes did" and the resulting ingrown toenails on my big toes were not pleasant either. What is necessary? What is medical? What is a perk? What are additional expenses? Back to the massage, I will say I like get a massage once a month because it helps my chiropractic adjustments last longer, but I definitely don't go enough because I usually spent my money elsewhere, like on pajamas, bras, makeup or haircare. However, I cut my own hair every other time and dye it myself. So what gives? It helps with my headaches, or lack thereof, due to my arachnoiditis, which my insurance refuses to pay for. Insert obscene gesture here...but I get it. It's also helping the aging and the wrinkles so it's an elective expense. Honestly, though, I'd pay anything to not get headaches all the time like I used to back in 2016. Botox is a huge expense and if something happened, it would be the first thing I would cut. That said, I am tracking it for budgeting this year. Honestly, I had to make a decision to what categories I wanted to allot my monthly spending, and I wanted to go back to the cash system that helped me do things like pay off my car early, pay for grad school, and put money in savings. January 2019 is my flagship month with me keeping spending to a bare minimum to reset my mind, spirit, and body for what I really needed. I am tracking exactly what I spend regardless of staying within my allotment. This way I'm hoping to see a pattern. Makeup, hair styling (products, cut and color), skin products or treatments, waxing, pedicures, manicures (I don't get these but other people do). I don't wear makeup everyday so what I have lasts. However, I do go through quite a bit of skin care products so I can't wait to track that this year. 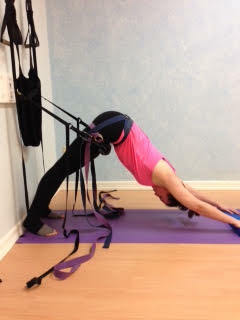 Massages, acupuncture, botox (or other medical procedure), yoga class, gym membership, box subscription etc. Let's talk about massages again. This year I want to see if I can get a chiropractic adjustment and then, in two weeks, get a massage. I want to flip them back and forth to see if I can cut down on both of those expenses this year. I think this category is pretty self-explanatory but everything clothing related from your blouse to your shoes and your socks to your handbag. I think I mentioned back at the beginning of 2018 when I was cleaning out my closet that I shopped my way to happiness through the tragedy of getting adhesive arachnoiditis? Well, when I cleaned out and moved to a capsule wardrobe, I resolved to not buy anything else unless it was replacing something that was worn out or broken. I did this for the most part. I can list the clothing I bought for the entire year of 2018. Can you? 3 sweatshirts at Costco to replace worn out, stinky ones. 3 t-shirts at Target, no replacement, just needed something in between super casual and business casual. I would like to say that I personally know the best Goodwill in the entire state of Texas and they always have amazing clothes that usually still have the price tags from the original store attached. No, I'm not telling you where it is. So even when I do buy clothes, they're not crazy expensive. I save money for the big stuff, like my 20th reunion dress...which will probably be my 40th birthday dress when that rolls around in 2020. What my 2019 financial tracking isn't going to cover are my other necessary medical alternative treatments like medicine, supplements, or dry needling. 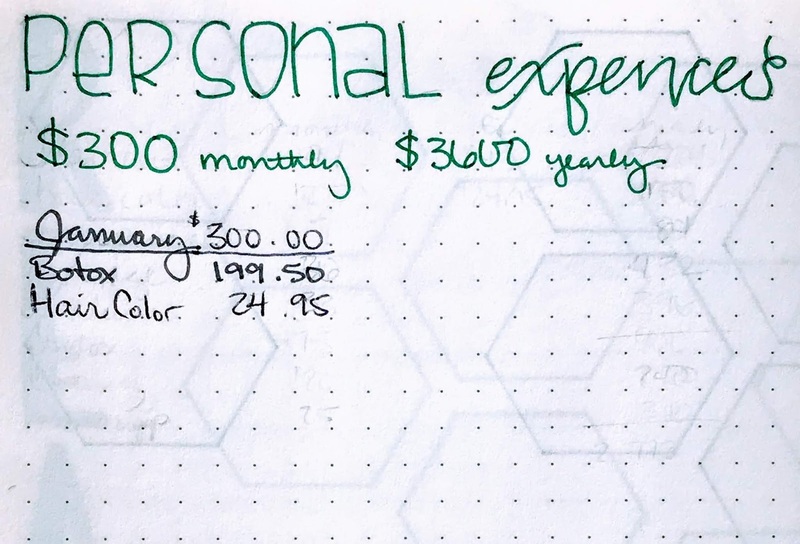 I'm starting a separate medical expenses tracking collection in my bullet journal for those. Wish me luck. Ok, I'm done complaining about my stupid lack of responsible spending in 2018, which is a problem of total privilege, and I resolve to do better in 2019.